This example shows the majority of options that can be applied to sparklines. Sparklines are small charts that fit in a single cell and are used to show trends in data. See the Working with Sparklines method for more details. 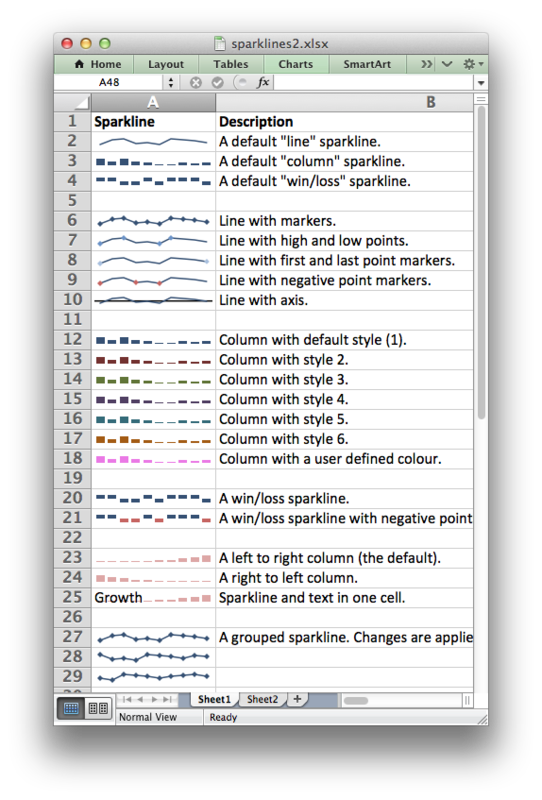 # Example of how to add sparklines to an XlsxWriter file with Python. # options that can be applied to sparklines. # Set the columns widths to make the output clearer. # Create a second worksheet with data to plot. # Data for the grouped sparkline example. # Write the sample data to the worksheet.